Since I moved to Australia, I’ve gotten totally hooked on the Big Bang Theory. It was one of the few US shows that was played regularly when I got here and it reminded me of home. I won’t even tell you how little time it took me to get through all the seasons. It’s embarrassing. 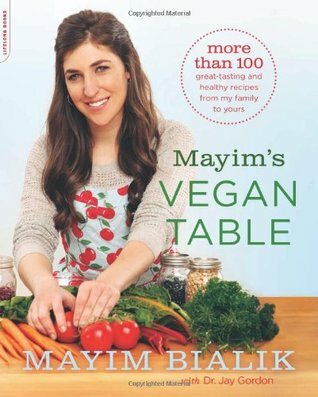 Anyway, when I heard Mayim Bialik (aka Amy Farrah Fowler from BBT) had released a vegan cookbook, Mayim’s Vegan Table, I was so excited! As I mentioned in my Touching Base post last week, I really wanted to make sure that I gave Bialik’s book a good look through and tested recipes before giving it a review. I didn’t want to just post a recipe given to me and tell you to go buy the book because it’s an actress I like. It took a little bit of time but I’ve read the book cover to cover, made some of the recipes, tested it on the kids I nanny for and feel I can give it a good shake. So, let’s do this thing! 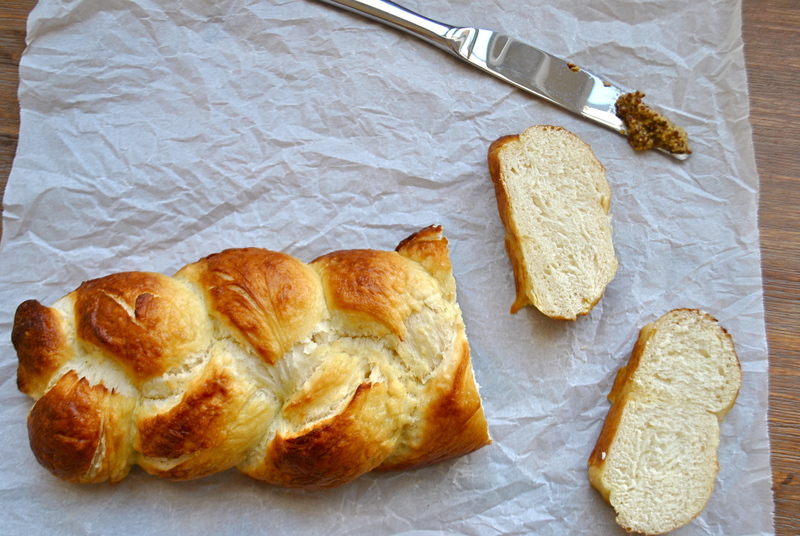 Hot Pretzel Challah Bread. Recipe Below! Bialik co-wrote the book with Dr. Jay Gordon, a California-based pediatrician and pediatric nutritionist, and their goal in writing the book was to present “fun foods- foods that can please finicky toddler palates, and a lifestyle that is not expensive, time consuming, or only available if there are vegan restaurants”. The book definitely met this goal. It starts with an introduction of the vegan diet, breaking down what vegans eliminate from their diet, why and what they can replace these foods with. This section is organized, concise and approachable and manages to avoid getting preachy. It also presents ideas on what to eat for breakfast, lunch and dinner, which is super helpful if you don’t know where to start. Dr. Gordon also includes tips throughout this section on how to talk to your kids about eating well, cutting out french fries, etc. The recipes that the duo present include everything from breakfast favorites to entrees, to dessert. The bulk of the recipes are family staples that kids already love- french toast, mac and cheese, baked ziti and cookies. There are new recipes, like zucchini pie and a sushi bowl, and a number of Jewish staples, like Matzoh Ball soup, Challah Bread and Rugelach. The book also contains pantry staples, Dirty Dozen and Clean Fifteen shopping lists and a list of calcium rich foods, all helpful for new vegans. The two authors also stress a relaxed approach to a vegan lifestyle, suggesting gradual changes and slow switches. They aren’t making outrageous promises of bodily nirvana if you give up meat and dairy. This is a refreshing, realistic approach that I think most families can appreciate and introduce into their lifestyle, even in small ways. 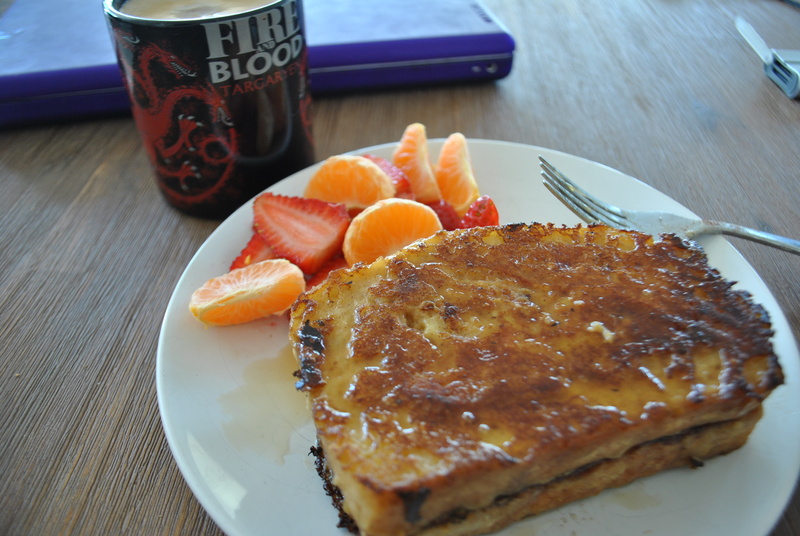 French toast (I used some homemade sourdough bread) with a side of fruit. The downside is the book has some recipes that lean heavily on vegan substitutes, such as vegan cheese, vegan sour cream, vegan yogurt, etc. As someone who has done the transition from vegetarian to vegan, I know these can be a great crutch. They can also be hard to find! In Australia, I have yet to find a vegan cheese. So, forget about anything more unusual, like vegan sour cream! I’m not even sure I saw that in stores in the states, outside an odd Whole Foods or so. I’m concerned that the lack of availability may turn people off to some of these recipes, such as the Mac and Cheese. I would have liked to have seen some suggestions on what to use if shredded vegan cheese couldn’t be found. Is there a substitution? Maybe a homemade cheese sauce? The Raw Nut Cheese recipe that was included as a substitute for ricotta is a great start but, as someone without access to any vegan substitutes, I would have liked to see more. Also, the cookbook tends to lack stories from the authors. I don’t have any of my cookbooks here in Australia to quote but I know one of my favorites, Peas and Thank You by Sarah Matheny, another family vegan cookbook, has almost a full page story before each recipe. Definitely not the norm, but very entertaining! I think even Alicia Silverstone’s cookbook, A Kind Diet, included various stories such as heading to the rain forest with Woody Harrelson. These stories elevate a cookbook by making it more memorable and interesting. As a celebrity, I understand and respect that need for boundaries but I would have liked to get a little bit more of a glimpse into her personality, her life and hear stories from her kitchen. Now, let’s get down to the recipes! After all, that’s what matters, right?? In the reviewing process, I chose 4 random recipes to review as well as the 5th one which I get to share with you. I made: Rainbow Smoothie, Udon with Edamame and Peanut Sauce, Bev’s Banana Bread, Hot Pretzel Challah Bread (which I will be including below) and Cocoa Brownies. Most of these came out amazing! 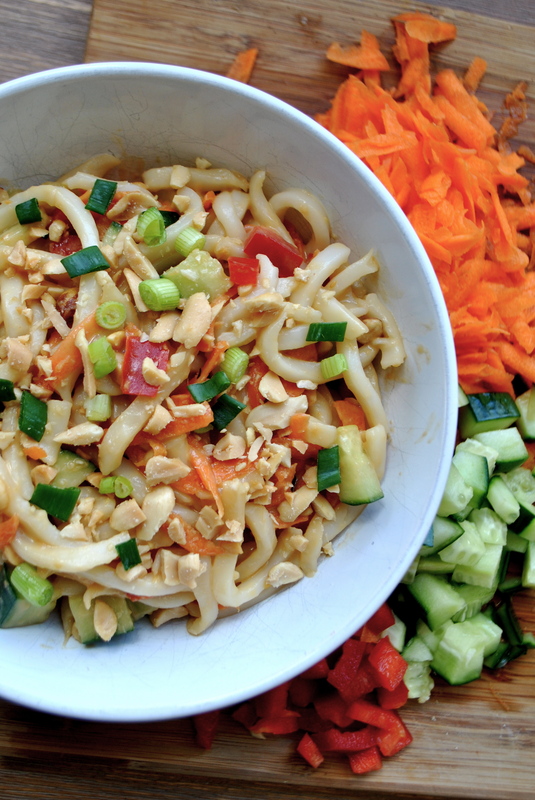 I am obsessed with the Udon noodle recipe and the Pretzel bread. I hid the Udon noodles so that I wouldn’t have to share them with the kids. True story. The banana bread also went like crazy. When I saw the 13 year old carve off another huge piece, I actually had to pause and remind myself, he doesn’t even like bananas! It was gone within a day. The greatest success, though, was the rainbow smoothies. 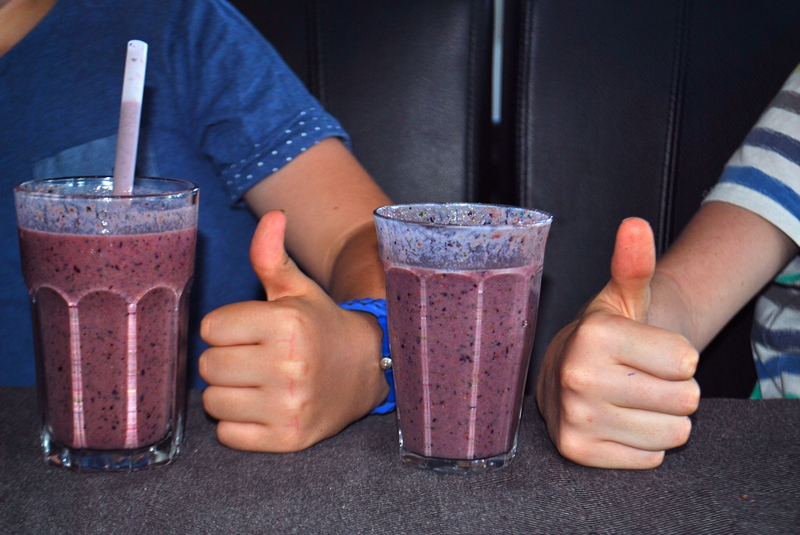 It started a huge smoothie revolution in the house. During the afternoon, I’ll make up smoothie packets for each of the kids and freeze them. When the kids come home from school, I just throw the contents of the packet into the blender with some liquid, blend it all up and serve it with sliced up veggies. It has replaced the single fruit/cookie snack which was the norm. Even Liz, my boss, has gotten in on it! The cocoa brownie was the only recipe I had difficulties with. They just didn’t seem to solidify enough! They tasted good but were definitely an ‘at home’ treat. I had to chill them to get them solid so I wouldn’t recommend sending them to school in a lunch box or bringing them to a party. I felt they were too gooey. This was truly the one hiccup I found in the recipe portion of the book. We loved the rest of the recipes! 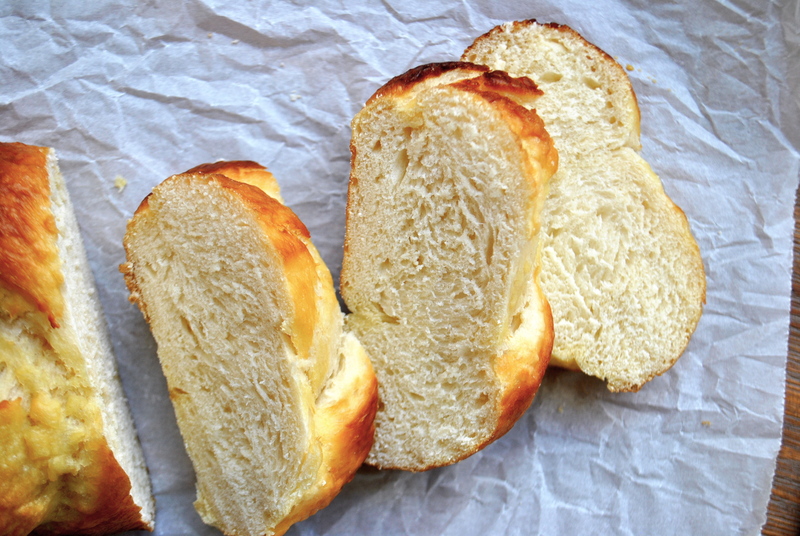 Here is the recipe for the Hot Pretzel Challah bread that I am allowed to share with you. I am so in love with this bread. I still have some in the fridge and am dreaming of it slathered with jam for breakfast. 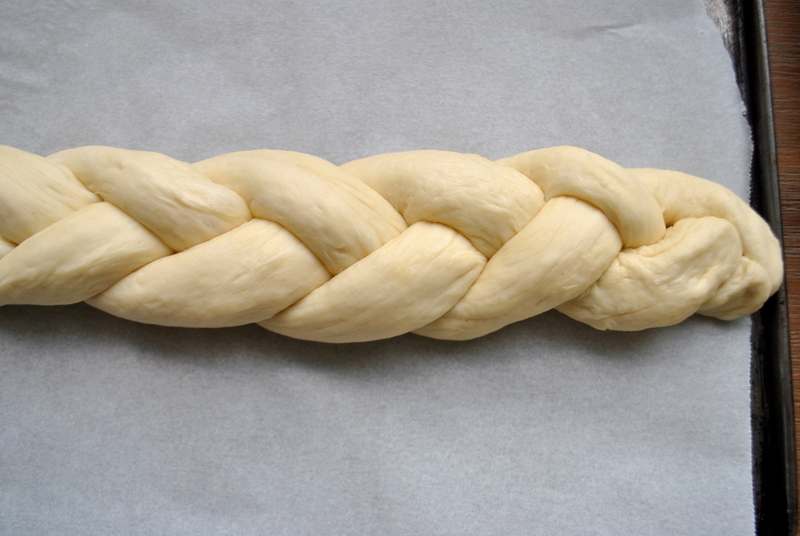 Challah is the traditional braided Jewish bread served on the Sabbath and Holy Days. It is known for it’s crusty exterior and soft and slightly sweet inside. A vegan company in Los Angeles makes a pretzel challah that is not only crusty on the outside, but tastes like the best soft pretzel ever. This recipe takes a little bit of work to get the crust just right, but it will not disappoint! It’s best eaten warm on the day it’s made, as the outer crust can get hard the next day. Dip in pretzel salt or kosher salt and add sesame seeds, if you like. Serve with mustard. 1. Preheat the oven to 350 degrees F. In a medium glass bowl or measuring cup, combine the yeast, 1 1/2 teaspoons of the sugar, and the lukewarm water. Leave for 10 minutes, or until foamy. 3. Add the yeast mixture to the mixing bowl, beating well. With the mixer on low speed, add the flour. Raise the speed to medium and knead for 4 to 5 minutes, until smooth, satiny dough forms. It will have almost a matte finish (see picture at the beginning of the Recipe Review section). If you are kneading in the flour by hand, it may take a few minutes longer to get a good, smooth texture. * Place in a lightly oiled bowl, cover with a clean dish towel and allow the dough to rise in a warm place for 1 1/2 hours, or until double in size. *Wicked Vegan Note: If you are making this by hand, add the yeast mixture into your sugar/water/salt/oil mixture and continue to whisk until while combined. Set aside these wet ingredients. In a large mixing bowl, add the 3 cups of bread flour. Make a little crater or well in the center of the flour. Pour your wet ingredients into the crater. Begin to fold your dry ingredients into your wet ingredients using a wooden spoon or your hands (I used my hands). 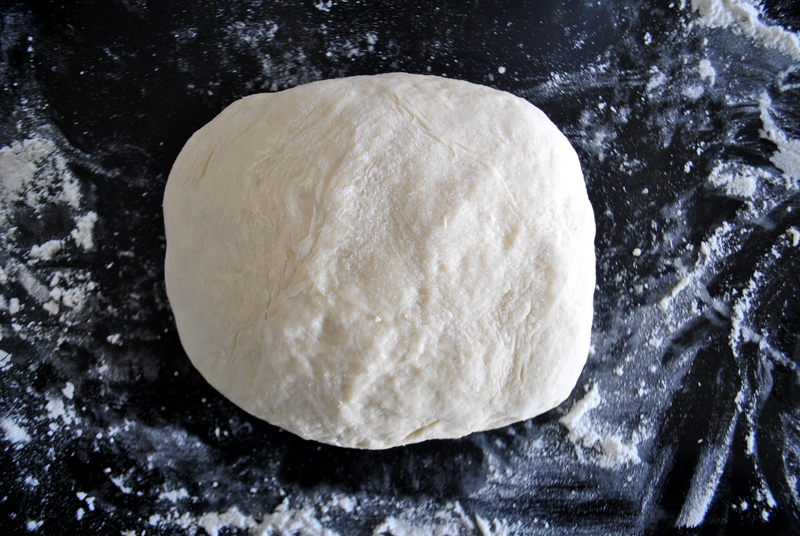 Keep gently folding the ingredients together until you have formed a dough ball. Once your ingredients are all together, take the dough out of the bowl and begin to knead the dough on a clean, floured surface. Mine still took about 5 minutes to reach the satiny dough form that Bialik mentions. Place in a lightly oiled bowl, cover with a clean dish towel and allow the dough to rise in a warm place for 1 1/2 hours, or until double in size. 4. Line a baking sheet with parchment paper. 6. Bring 8 cups of water and the baking soda to a boil in a pot with a wide opening. Gently and carefully, lower a challah into the baking soda solution. Using two wooden spoons or spatulas, carefully turn the challah so both sides get equally covered in the water, or bathe the top with spoonfuls of the solution. Remove after 30 seconds and place back on the parchment-lined pan. Repeat with the other challah. As soon as I pulled these out of the oven, the first loaf went in under 10 minutes. I acutally had to hide the second loaf so that I would have something to photograph in the morning! It was so, so good! 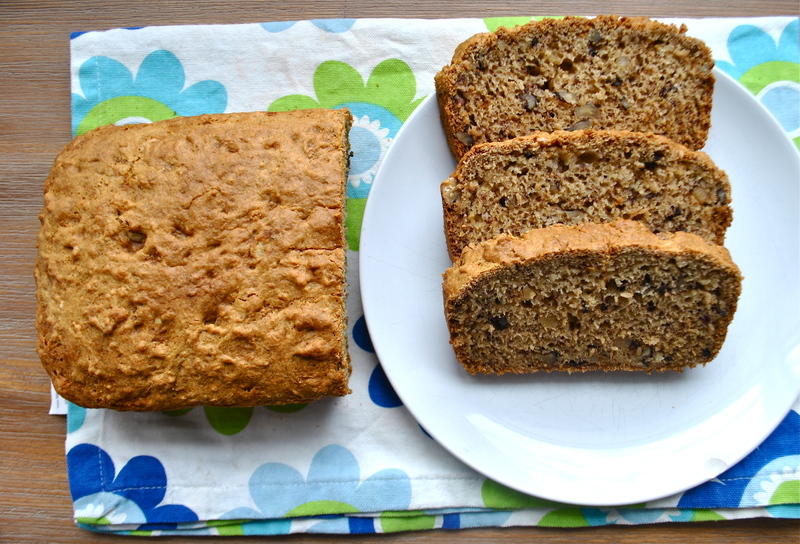 I’ve been on a big bread making kick and I suspect this will be made again…like, this afternoon! The kids loved it too. It works great as a morning snack with some fruit. Overall, I think Mayim’s Vegan Table is a good family, vegan cookbook for beginners. It is a well-organized, no nonsense cookbook which has a variety of recipes that will satisfy everyones taste buds from kids to adults. After testing a number of recipes, I would recommend it for those thinking of experimenting or switching to a vegan diet. Trust me, one bite of this pretzel bread and you will be agreeing with me!